Nearly 5 years ago I was with a group of Americans in Haiti. It was my first time in the country, and we were looking for a back route to one of the villages on the mountain from the other side. A couple of guys inadvertently entered in the wrong coordinates and waypoints into their GPS, and no matter what I said with my map and compass in regards to our position, they decided they were going to 'trust the technology' instead, and that technology got us lost. We got out of the car and took a turn to the East, walking down into a deep ravine and up over the top of another mountain. We walked for miles, and it took literally the entire morning, afternoon, and early evening before we finally made it back to our village. I called it my Haitian Walkabout. If you're not familiar with that word, a Walkabout is a kind of self-journey that one takes while sojourning into the wild to seek the spiritual side of life, to discover the meaning and the purpose of it all. That day felt to me as if it embodied so many more things than I could comprehend, things that I knew might take years for me to understand. 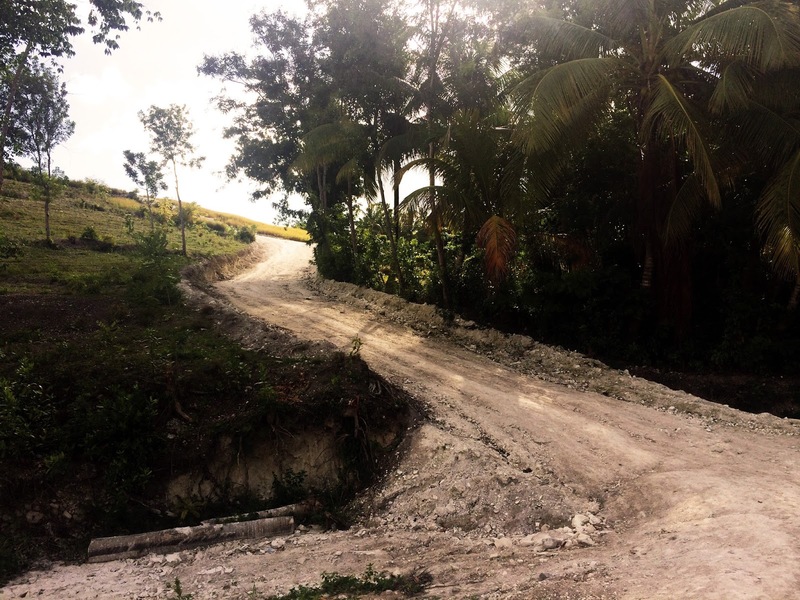 It became a rite of passage that led me to trust God down many more trails in Haiti. It was only hours into the venture that it began to dawn on us that we weren't lost at all, that God knew, and planned, exactly where we would be that day. One of the women in our group found a family she'd met months before as we stumbled upon the home where they lived, and God answered a big prayer of mine from the night before. I had asked Him why He would have me meet a little girl named Oberline on top of some obscure mountain that I would never return to, a girl I'd probably never see again...I remember asking Him why He would break my heart over someone I couldn't possibly find again in a sea of Haitian people. And then it happened on the Walkabout that we popped out right next to her village. I remember the men scratching their heads at the GPS, admitting they were lost. I remember the tears that welled up in my eyes when I realized we were back at the exact spot where I'd met that little girl. To me it was simple. God got us 'lost' so that she might once again be found. Now, almost 5 years later, I was on that same mountain, visiting a new pastor at his church, making plans to get Bibles to him. Another pastor had mentioned in our conversation that there was a new, beautiful road that went up over the mountain. "Are you kidding me?!" I said. "I'm telling the truth." He smiled. I had to go and see for myself. I don't know how it is, but when I came up over the hill I almost cried. There before me, in exactly the same footsteps that we'd taken in our Walkabout 5 years before, was a road, plowed through what was once a wilderness in my mind. They've made a road where once there was only a footpath. In places more suited for goat than a man is now a road wide enough to travel comfortably in a 4wd or on a moto. Exactly where we'd left the car years before, down the exact ravine, and through each village we'd passed, in exactly the place where we'd walked, there is now a road. What once was a Walkabout in the Wilderness...Now a road. A big, beautiful road. What do YOU think it means, reader? Just a coincidence? What would be the odds? If you got out of your car in America, alongside some National Forest, you walked for a full day, zigging here and zagging there, scribbling your way on a map, and then returned to that same spot 5 years later to find a road bulldozed, would it make you pause? Would you consider what God might be trying to say? When I was with a group of men this summer we were walking in a State Park. We purposefully left the trail and walked into the wilderness. The trees crowded in, the wind coursed through the branches and the forest became our cover. But then, out of the blue something caught the eye of one of the men. "Look at that! Is there some purpose to the bench?" He said. "What?!" There in our 'wilderness' was a beautiful bench, sturdy and well built. "Wonder who would put a bench like that clear out here?" I said. Then we saw the path. A trail, and in the trees just a little further, a sign. On the sign was a map of the trail we'd stumbled upon, and written in large letters with an arrow were the words "YOU ARE HERE." I laughed immediately. The entire day fell into meaning for me, as that day I heard God say the same thing I hear Him saying here in Haiti. "You may think you're lost. But with Me, you are found. You can walk to and fro, zig and zag, blindfold yourself and spin about in circles. You can walk for miles in the darkness, but regardless of where you are or what storm you're in, if you are with Me, I am with you. Wherever you go, YOU ARE HERE. I know exactly where you are."